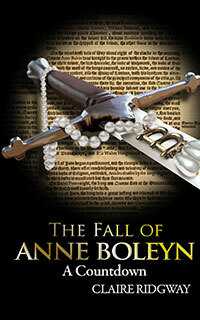 On 6th May 1536, it is said that Anne Boleyn wrote a letter to her husband, King Henry VIII, from the Tower of London. It was headed with the words “To the King from the Lady in the Tower”, alleged to have been written by Thomas Cromwell. In this letter, Anne Boleyn emphasises her innocence and asks the King not to “let not any light Fancy, or bad Counsel of mine Enemies, withdraw your Princely Favour from me”. She asks for a “lawful trial” and puts her present predicament down to the King’s affection settling on another, i.e. Jane Seymour. Anne also writes of how she hopes that God will not call the King to account for his “unprincely and cruel usage of me” at judgement. She concludes the letter by begging mercy for “the Innocent Souls of those poor Gentlemen” who are in the Tower for her “sake” and then signs off “Your most Loyal and ever Faithful Wife, Anne Bullen”. There is controversy between historians over the authenticity of this letter, with many being sceptical because of the tone, handwriting and signature, but I hope that Anne did write it, or at least something similar. Anyway why would Cromwell have written this letter and pretend it was from Anne, he was the one who was helping bring about her fall, seem a little contradictary. Only one more day before I am on my way to see the play Anne Boleyn in Edinburgh, it will be interesting to see how they portray her end, I’m soo looking forward to it!! Totally opinion here, but the translation I have read seems very much Anne’s style. She seems shocked. Tortured, yet still full of regal grace and loyalty to her King and their love. It was a sad appeal to his better self, which had apparently in such a short time turned cold to her. What a heartache! One of history’s most sad love affairs. Yes, it sounds like it would be just what Anne was thinking, what she’d want to say if given the freedom to, but I’m not sure she would have risked Henry’s wrath. She knew how cruel Henry could be to a daughter, taking out on Mary his frustration with her mother, so she must have feared for Elizabeth. I don’t believe that she would have wanted to risk that.